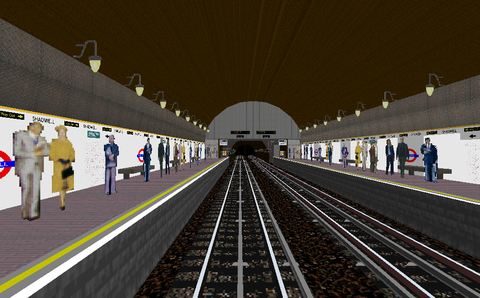 A simulation of the LUL East London line from Shoreditch to New Cross Gate. This simulation is from the year of 2002. At that time this was a line within the London subway network. The years 2007-2010 the line was extended and rebuilt to a commuter train line. There are a few transparency issues in OpenBVE with graphic objects in this route. BEWARE! The website www.trainsimstuff.org that claims to host this route is hijacked and redirects to another site that tries to fool people to install unknown software on their computers. 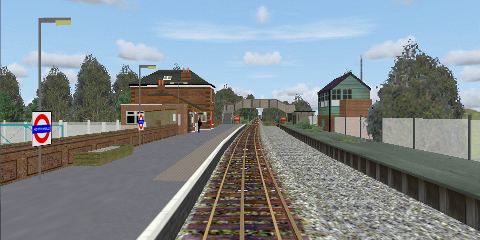 LU Central Line, the Epping--Ongar branch. This rural part of London's subway network was closed for traffic in 1994. Well-made route with many details.